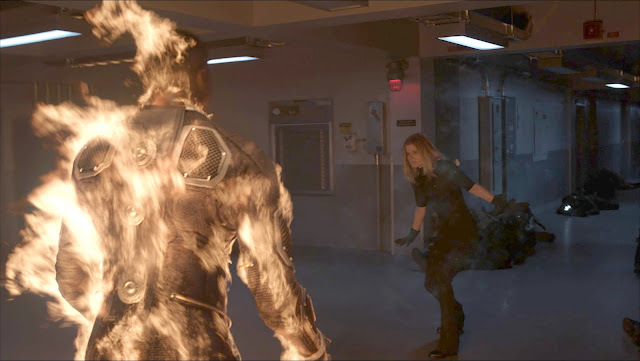 Fantastic Four is the latest Marvel superhero reboot by Fox, the studio that brought us X-Men and those two corny Fantastic Four films starring Captain America, which no one cares to remember. 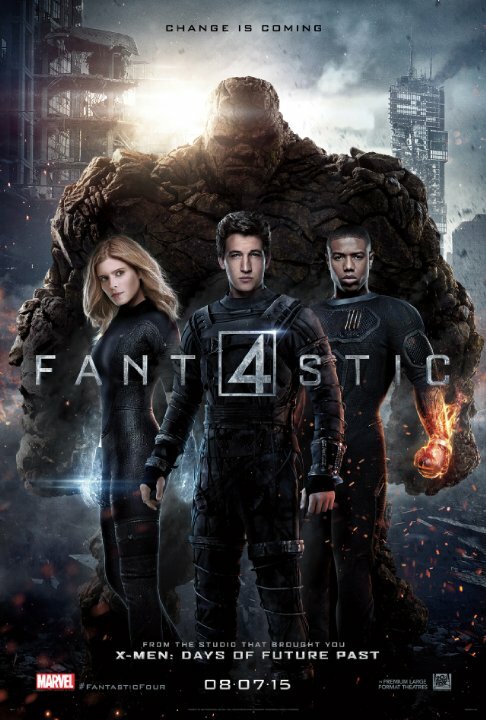 If you have read some of the reviews, you may know that almost everyone hates on Fantastic Four, aka "Fant4stic" if you read the poster. 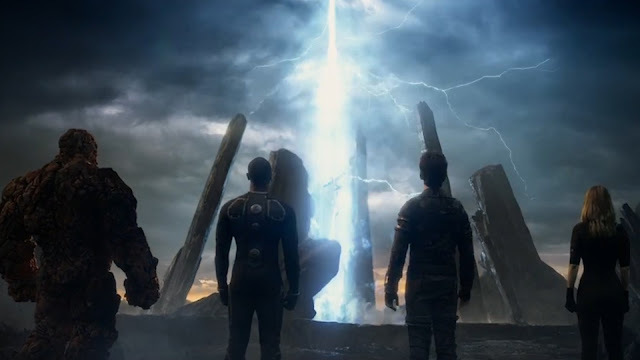 However, going in without any knowledge of what everyone else was saying, Fantastic Four proved to be a film with fantastic potential with a unique take on the superhero genre, even if fails in certain places. As you may know from my post last week, the Fantastic Four are Marvel's first superhero team, which was created in response to DC's Justice League. Stan Lee considered leaving Marvel, so he created the type of team that he wanted to make, and the result was the Fantastic Four, a superhero team that was more family than team. F4's success lead Stan to continue writing comics that we all know and love today like X-Men, The Avengers, and so much more. In many ways, the comic is one of the most important to Marvel as a whole. Unfortunately, the corny 2005 film and its sequel did not do the team any favors, and neither is the response to the reboot. Plot: 5.0/10- Josh Trank and company take a more grounded approach to the classic origin by making the film more of a science gone wrong story than a superhero origin. Taking a slow burn pacing approach, the characters are gradually established and the relationships between the characters are built. For the first hour of the film, I was completely engrossed in the science fiction tale. Sure, many viewers apparently found all the science talk and constructing the teleportation device dull, but it established the characters as college students that bond over this shared goal. Granted, it is not the typical popcorn adventure that people expect from a superhero movie, but it got me hooked. Honestly, I could watch these characters interact for much longer. Unfortunately, the film falls flat not long after the characters receive their powers. After the initial reveal, which is superbly executed and horrifying, the plot just falls apart. Being only 100 minutes long, Act 3 felt more like Act 2.5 because the villain is introduced and in about 15 minutes, the film just rushes towards the conclusion. It has one of the worst endings I have seen in a comic book film in a very long time. Plus, as the trailers show, there is more footage that could have been used to further flesh out the characters and add more action. At one point in the movie, you see several cool action sequences on a TV screen. Why not introduce the characters' powers that way!? It could have improved the pacing drastically. Up until that point, it would have been among the better half of superhero movies for sure. 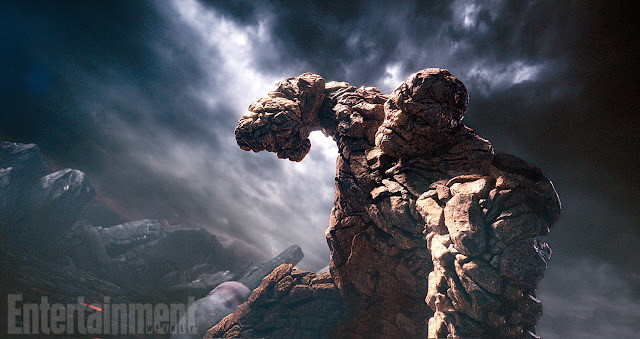 Characterization: 7.9/10- The core members of the Fantastic Four, plus Doom, are well established, except for Ben Grimm. While building the device, you can see how three of the characters in particular bond. When they make the decision that leads that ultimately leads to receiving their powers, they act like college students, so their actions make sense. 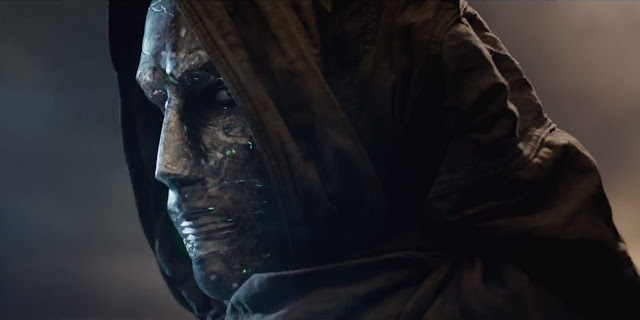 Reed Richard is the most well developed character of the cast, and Victor von Doom was well established for the first part of the movie, although his motivations are well written, yet not well executed. Everything leading up to the characters receiving their powers excellently portrays the characters as well. Having read the comics, I felt bad knowing what would ultimately happen. Unfortunately, the rushed Third Act mostly tramples all of the strong groundwork laid out. Doom is ruined yet again! For some reason, the writers have never read a F4 comic! Actually, his powers remind me of that one move in the Marvel vs. Capcom video game called "Molecular Shield," which is where Doom throws rocks as an attack. The creators obviously saw that and decided to make the entire character like that, although he was cool for about 60 seconds. Direction: 6.7/10- Tonally, Josh Trank certainly departs from the more lighthearted roots of the comics with a tone more in line with the X-Men films and Ultimate comics. One aspect that really worked well is how F4 demonstrates the major difference between Fox's X-Men universe and Disney's Marvel universe. In X-Men, powers are perceived as a threat to mankind; almost a curse in some respects, while Marvel is more optimistic, which creates an interesting dichotomy. DC tried this in Man of Steel and failed. The best example of this is when the team first receives and uses their powers. The scene is filmed in a way to make it horrifying; it almost made my skin crawl! Of course, F4 fails in that awful Third Act that contains one of the worst superhero action sequences of the last few years. 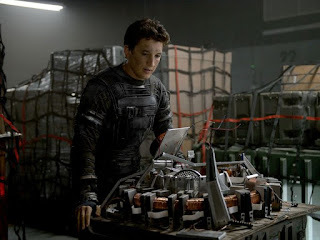 Acting: 7.9/10- Miles Teller is an undeniably great actor, and while some of the material towards the end is weak, he pulls of the college genius element well. When Michael B. Jordan was cast as the Human Touch, a traditionally white character, there was a huge uproar, and while it is unnecessary to the story, he actually did a good job in the role. Kate Mara as Sue is a bland, as she is the weakest of the cast. Fan favorite, Jamie Bell, is not given nearly enough screen time, although he is good with what he is given. Lastly, Toby Kebbell as Doom is actually very good in the early parts of the film, until he receives his powers. Special effects: 6.8/10- The special effects are hit and miss. Sometimes it looks legitimately cool, and other times it looks somewhat cheap. Overall, it is not half bad. Soundtrack: 7.0/10- Marco Beltrami and Philip Glass' score is solid, albeit somewhat unnoticeable during the film. Humor: N/A- Aside from a few quick gags, there is not much humor present. Entertainment Value: 7.8/10- Until the Third Act, the movie was engrossing and entertaining for a sci-fi fan like myself. Apparently, I am just about the only person that enjoyed though. 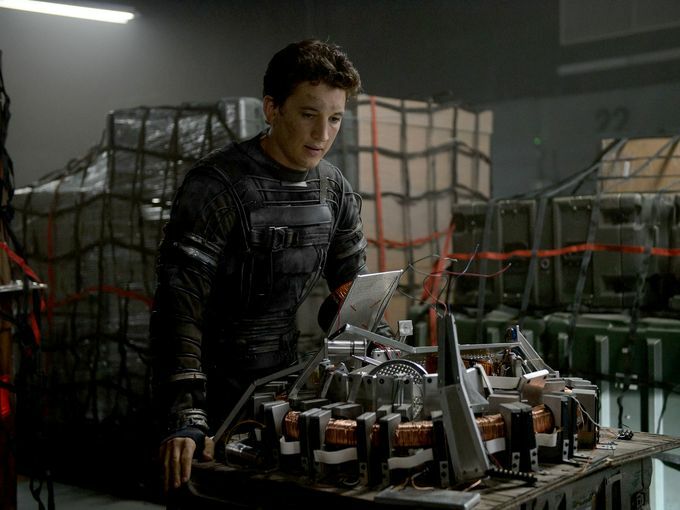 Overall: 6.3/10- More science than superhero, Josh Trank's reboot establishes grounded characters in this drastically different take on the Fantastic Four that succeeds at making the origin fresh and new. Unfortunately, the decent groundwork in the first hour is undermined by an anticlimactic finale that is among the worst superhero conclusions of the last decade. Closing comments: Despite my seemingly positive review of Fantastic Four, many of the criticisms about the film are entirely valid. I just value the first hour more than others, although that last part is a complete atrocity!